 This examination is being given to fill ONLY part-time positions within the Solid Waste Division of the San Joaquin County Public Works Department and to establish a referral list which may be used to fill future part-time opportunities. Solid Waste Division: The Solid Waste Division is responsible for the planning and operation of the County material recovery facilities, transfer operations and landfills. Solid Waste is a 7 day a week operation, with varying hours from 6:00am to 4:30pm. This position will work in open and closed landfill locations and materials facilities. Equipment may include (but are not limited to) heavy duty bulldozers, scrapers, loaders, backhoes, roll-off trucks and water trucks. a. Subgrade and finish grade to engineering specifications. c. Fill trucks with sand, gravel and construction materials. d. Clear ditches and channels. e. Move large masses of earth. f. Load and move heavy equipment and road construction materials. g. Spread various grades or road oil on roads calculating distributor rate and width. a. Move, compact,, and cover refuse. b. Excavate, transport, place and compact earth. c. Load and move recyclable materials. d. Maintain road surfaces and drainage ditches. Makes routine repairs and adjustment to equipment; regularly checks or inspects brakes, lights, tires, fuel levels, and auxiliary equipment; does routine preventative equipment maintenance specified in operator's manual. Serves as lead worker over equipment operators, sanding crews and other members of a highway construction or maintenance crew or over disposal site personnel. Performs light or heavy physical labor when not engaged in operating equipment or serving as a lead worker. Maintains daily project records including personnel and equipment hours, material quantities; completes daily activity reports. Two years as an Equipment Operator I or Bridge Maintenance Worker in San Joaquin County service. Experience: Four years of paid work experience in the operation and maintenance of heavy road construction equipment. *License: Possession of a valid California Class A driver’s permit at time of application. *Note: If offered employment, applicant must obtain a California Class A driver’s license prior to completion of the probationary period. *Waiver: This license requirement will be waived for positions assigned to solid waste disposal sites. The operation, maintenance, adaptability and limitations of road construction and maintenance equipment; occupational hazards and safety procedures of the construction trades; traffic laws related to the operation of heavy equipment. Understand and carry out oral and written instructions; do heavy manual labor, occasionally under adverse weather conditions; work cooperatively with others. Make emergency repairs and assist in making general repairs of heavy road construction and related equipment; lead, coordinate and inspect the work of crew personnel.